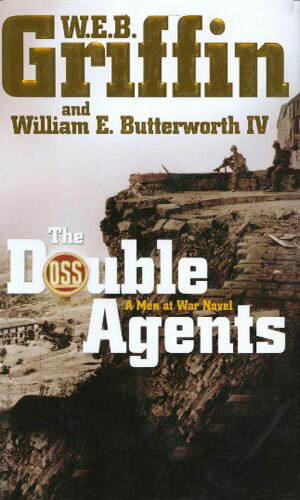 Men At War refers to the agents of the OSS. Precursor to the post-war CIA, the Office of Strategic Services formed at Franklin Roosevelt's direction by William "Wild Bill" Donovan. It was created to handle clandestine operations behind enemy lines as Europe was in the early days of War with Germany and in the Pacific, Japanese imperialism was rampant. Donovan and his agents soon found themselves the thick of things on both fronts as well as at home as many politicians feel such activities amounted to war-mongering to force America into the conflicts. The series is about the men and women who make up the OSS from Wild Bill on down and through its pages the reader will get to know a good number of them and see several pay the ultimate price for their country. It does concentrate, however, largely on two key agents, Richard Canidy and Eric Fulmar. As the series starts, both Canidy and Fulmar are in the mid 20s. Canidy is the son of a well respected minister. He went to a particularly good prep school, where he met and became friends with Fulmar, and then went on to university at MIT. He helped pay for that cost with a scholarship from the Navy, obligating himself for four years of service afterwards. A Lieutenant (jg) in the Reserves, he also parlayed his pilot training, having earned a commercial license, for a position with the Navy Air Corps. Canidy is described as dark-eyed, dark-haired, tall and lanky and is said to move with a "fluid grace". Not especially good looking but had a flair that made him quite popular with the ladies, Canidy was brash and sure of himself, "when his name came up, one would hear words like cocky, blase, arrogant, or defiant." The same cockiness would also apply to his former hi-jinks cohort, Eric Fulmar. He was the son of a quite famous Hollywood actress who usually felt it best to keep her son's existence hush-hush to not diminish the young girl-next-door image the world was lead to see. While there was certainly love there, the covertness of it was not lost on the young man. Fulmar's father was a German citizen who had a good and profitable life in Germany, one that Fulmar would often be a part of. As that nation prepared for war, though, Fulmar, having dual citizenship, was certain to be pulled in to serve. For that reason, he chose to not be country. Since his mother preferred to love him from afar, that meant Fulmar was on his own a lot. It would be Canidy that is first invited into ever-clandestine world of Wild Bill Donovan but when the opportunity arose, Fulmar was brought in. They might not always work together but when they did, they were a heckuva team. 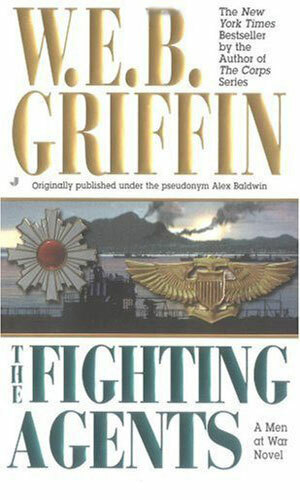 The first four novels in the series had been published under the pen-name of Alex Baldwin for a few years before being re-credited to W.E.B. Griffin. 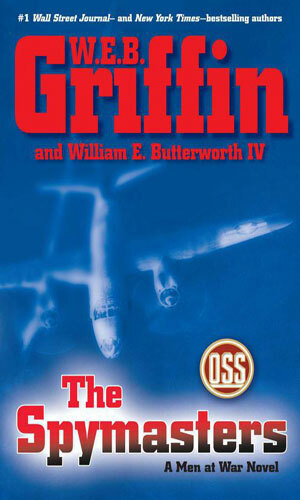 As the War begins in Europe, "Wild Bill" Donovan puts together the OSS at FDR's direction. One of the first missions is by Richard Canidy and Eric Fulmar to get their hands on a rare ore needed to make the coveted atomic bomb. The year is 1942 and the OSS is taking more dangerous missions. Richard Canidy works with Lindbergh to prepare an air drop of operative into the Belgian Congo to smuggle out uranium. In November of 1942, Eric Fulmar is in Morocco to bring out two powerful defectors while Richard Canidy sneaks into Germany to extract a scientist with plans for a jet engine. 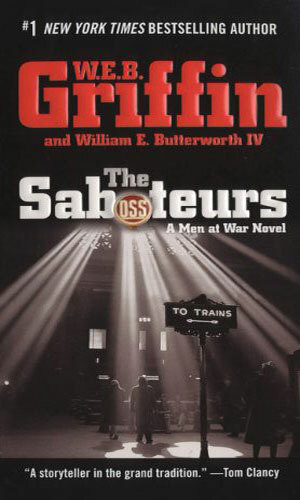 In 1943, Richard Canidy is now the OSS's number 3 man and should not be handling ops but when Eric Fulmar's mission goes south, Canidy head into enemy territory to help out. In the Phillipines, the OSS must find a way to smuggle supplies to a small band of soldiers. 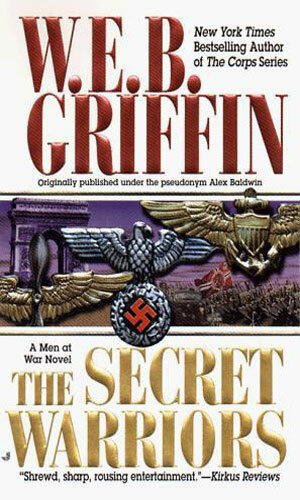 It is February of 1943 and Richard Canidy must set up a resistance unit in advance of the Allies heading into Sicily. He uses Lucky Luciano and the Mob to pull it off. In March of 1943, Richard Canity and his agents try to get proof that the Germans have nerve gas and germ warfare operations ready in Italy while other agents work in London with David Niven and Ian Fleming to fool the Germans into believing D-Day will be in a different location. In the Summer of 1943, the OSS is busy with the gathering of intel to help with D-Day and keeping others from learning the secrets behind the Manhattan Project. When an author has a terrific handle on his subject matter and really understands its ins and outs, there is a great chance the book he writes will be informative. When the author is incredibly skilled at his craft and can put on the page words that the reader cannot wait to read, the book he writes will be enjoyable. When the author is W.E.B. 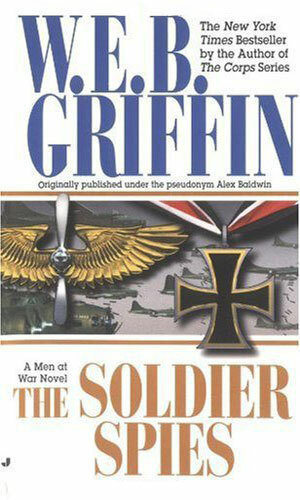 Griffin, a man who can do both of those acts naturally, the reader is in for a treat. 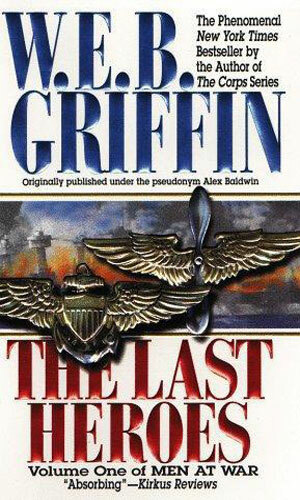 I strongly recommend any Griffin book, whether it is actually penned by him or by his highly skilled son. I really recommend this series because it is storytelling like you want it to be. Interesting, exciting at parts, informative without being lecturish. Good entertainment. Both Canidy and Fulmar are interesting characters and fun to follow. Both are unique and have interesting characteristics that are enjoyable to follow. The books have a lot to do with them, which is good, but they also have a whole lot more. I liked the way that numerous people from history pop up from time to time, making the situation feel extra real without being forced. That's a good knack to have.